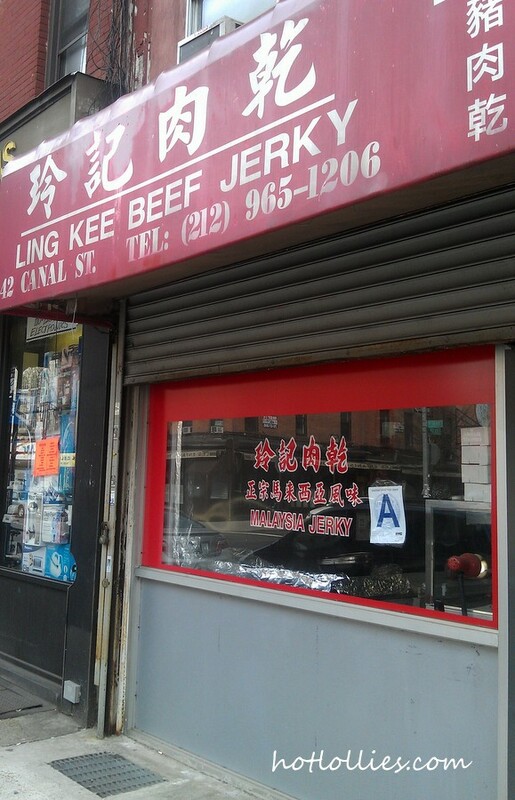 The most moist beef jerky you will ever have can be found at Ling Kee’s Beef Jerky shop in Chinatown, NYC. The shop is not too far from the Hester St flea market on the less traveled side of Canal St. Now that it’s starting to warm up around here I will be making a few more trips! Here you’ll find Malaysian style BBQ jerky made with chicken, pork or beef and their more spicier versions. 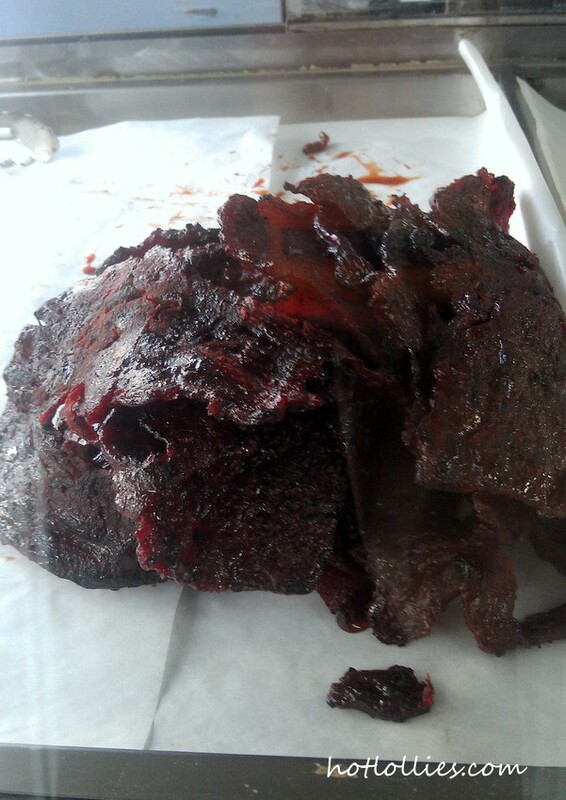 You can watch the shop owners make the jerky right on the spot and there’s a variety to choose from as well. My favorite is the spicy beef jerky pictured below and spicy chicken. It delivers a slow burn that continues to build long after you’ve polished a few strips. This jerky is peppery and always fresh which is a nice surprise for jerky. I’ve had plenty of jerky that are hard and so rubbery you can chew for days but not Ling Kee’s jerky. I don’t know of many places where you can get jerky this tender and delicious. Get yourself down there and sample a few. The jerky is sold by the pound but I’m sure you’ll walk away with more than that! Are there great jerky spots near you? Chime in and let me know!